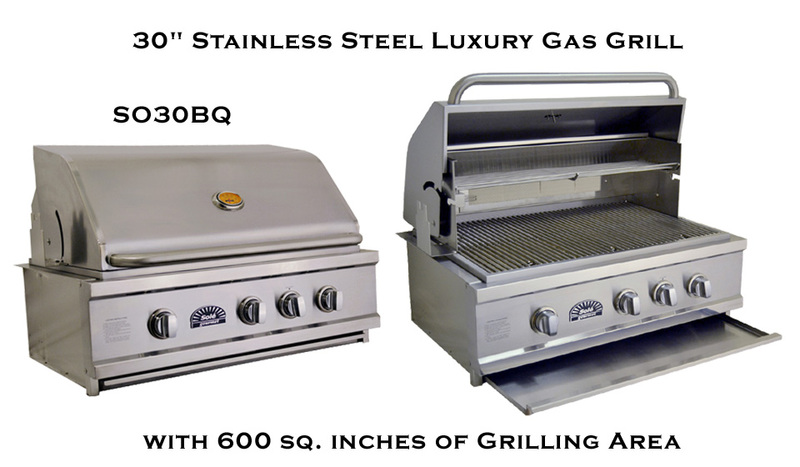 Sole Gourmet’s premium stainless steel Luxury series is designed specifically for serious outdoor entertaining. You can choose from our built-in options that combine a grill with drawers, sinks, and other accessories to create a custom outdoor kitchen. Also available from the Luxury series are our freestanding professional grade stainless steel carts. Regardless of the route you take, all of our grills will help you create a memorable dining experience for your family and friends.